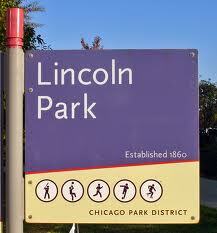 This week our Chicago restaurant and bar highlights head to the Lincoln Park neighborhood. They've got more than just a zoo up there, and we have the list to prove it. If you have any others to add, please let us know!! As always, special thanks goes to Anne Szkaulshi, Emily DeYoe, and Cathy Yu --fellow legislative attorneys and Chicago enthusiasts, for their major contributions to this series. Ja’ Grill. 1008 W. Armitage Ave.
Sai Café. 2010 N. Sheffield Ave.
Greentea. 2206 N. Clark St.
Teeny tiny restaurant, maybe the best sushi I’ve had in Chicago – certainly some of the best prices. Athenian Room. 807 W. Webster. Greek, cash only, cheap, delicious. Sweet Mandy B’s. 1208 W. Webster. I don’t care for cupcakes, but I cannot resist the frosting from this place. Floriole Café and Bakery. 1220 W. Webster. Deli Boutique (AKA No Name Sandwich Shop). 2318 N Clark St.
Bombay Chicken sandwich – heaven on a baguette. Hema’s Kitchen. 2411 N. Clark St.
Indian – 1 location on Devon, 1 at Clark and Fullerton. Indian friends like it. Sushi Mon. 2441 N. Clark St.
Hidden gem – dirt cheap, delicious, don’t let the outside fool you. Noble Tree Coffee. 2444 N. Clark St.
Sultan’s Market (also in Wicker Park). 2521 N Clark St.
Kyoto. 2534 N. Lincoln Ave. Solid quality fish, below-average prices (at least it used to be, they’ve since been featured on Groupon and have kind of blown up). Hai Yen. 2723 N. Clark St.
Red Hen (also in Wicker Park). 500 W Diversey. Local Option. 1102 W. Webster. Great beer, great fries, no DePaul kids. Galway Bay. 500 W. Diversey. In a basement, cheap beer, great bartenders, NOT a typical LP bar.